AOKP ROM Android 4.4.2 KitKat for Galaxy S4! [All U.S Variants] ~ AndroidRootz.com | Source for Android Rooting, ROMS, Tricks and More! AOKP ROM for the Galaxy S4 T-Mobile, AT&T, Canadian, Verizon, Sprint, U.S Cellular, and Cricket variants is all based off the latest Android version, Android 4.4.2. AOKP ROM is currently one of the most popular ROMS for a wide variety of Android devices. Even though this ROM is based off the nightly build I haven't seen any major problems with this ROM. Features like your WiFi, Data, calling, camera, etc all work without any problems at all! However, some AOKP features don't seem to be working and will probably get fixed when the next nightly is released. 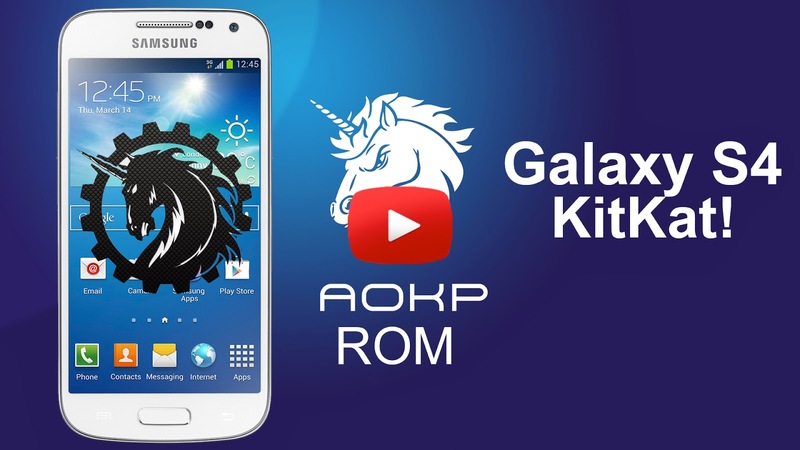 AOKP ROM offers quite of bit of features for your Galaxy S4 handset. All within ROM control in Settings you have features like recent RAM bar, tap the status bar to sleep, change the function of the hardware keys, and my favorite one that allows you to change toggle to the traditional scrollable option above notifications! Download AOKP ROM for Galaxy S4 using the links below!